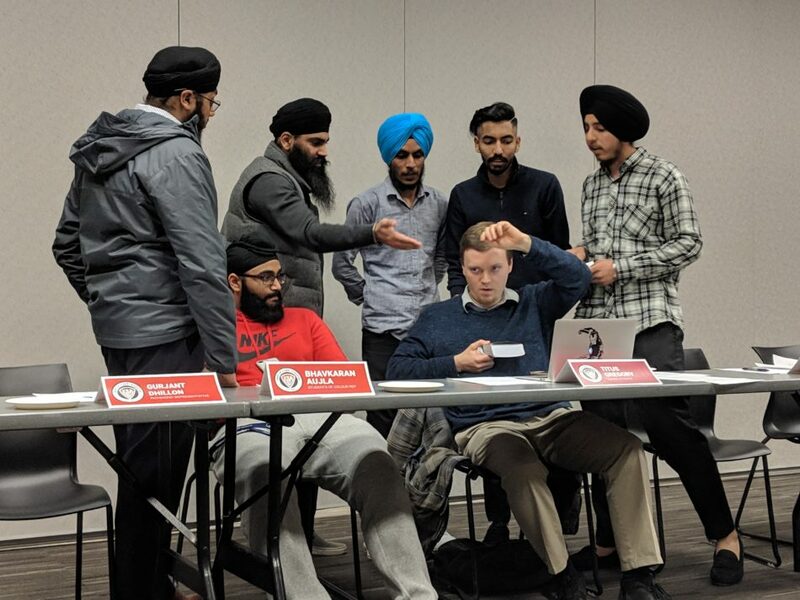 For the first time following the KSA general election in February, the student association’s new council met together on KPU’s Surrey campus to sign their oaths of office and to choose who would occupy the KSA’s four executive positions for the next year. The new councillors were also briefed on meeting rules and procedures and were introduced to the Executive Director of the KSA, Ben Newsom. Candidates for the executive position were asked a variety of questions about KSA initiatives and services such as the U-Pass and the Grassroots Cafe. Former KSA President and VP Finance and Operations Joseph Thorpe also attended the meeting, and posed questions to candidates about their knowledge of the KSA and past experience. Councillors also asked candidates about their commitment to supporting the rights and wellbeing of students with disabilities, and how they will support events and initiatives for Indigenous and international students. Following this, councillors voted for the candidates in a series of secret ballots. The newly elected Vice President Finance and Operations is Business Representative Mayur Gupta, who will be responsible for maintaining and balancing the annual KSA budget, presenting budget reports to council, and overseeing any changes voted on by council and the Standing Committee on Finance. The new VP University Affairs is Indigenous Students Representative Sarah Strachan, who had been filling the VP Student Life position since December. Arts Representative Harkeerat Gill and Surrey Campus Representative Arashdeep Singh, who also submitted their candidacy for the position of VP University Affairs, requested a recount after Strachan was elected. The votes were recounted and the election result was ratified by council. Strachan will be responsible for liaising with KPU administration, developing student services, and working on KSA internal operations. The new VP External Affairs is Arts Representative David Piraquive, who had been filling the position since December. Piraquive was elected over International Students Representative Gurdial Dhindsa, who requested a recount, after which the result was ratified. Dhindsa and a group of other new councillors continued to question Speaker of the Council Titus Gregory about the election rules after the ratification. As the VP External Affairs, Piraquive is responsible for communicating and working with outside organisations like student advocacy groups, government, and media organizations. Piraquive says he is committed to working with student lobbying and advocacy groups like The Alliance of BC Students and the Canadians Alliance of Student Associations. The new VP Student Life is Business Representative Dhruv Shahi. Shahi will be responsible for organizing and overseeing student events, communicating with clubs, and promoting student culture and engagement at KPU. After the council meeting, David Piraquive was elected to be the new KSA President during the first meeting of the new executives.